Connie Dieken is the founder of The Dieken Group—an executive coaching and consulting firm that advises CEOs and other senior leaders in the spotlight. Connie helps these leaders deliver influential messages in high-pressure situations. Her clients are leaders in some the world’s best-known organizations including Apple, HP, Nestlé, and The Cleveland Clinic. While anchoring news programs, Connie would interview people of power, including President Bill Clinton and Jack Welch. As a result, she became fascinated with how leaders influence and gain commitment. This fascination prompted her to leave broadcasting and launch her own company in 2000. Although Connie already had years of qualitative data on how people influence, she also wanted data that was quantitative. When she launched her firm, she began an ongoing research study with over 20,000 respondents that became the statistically valid assessment tool, Influence 360°. Influence 360° measures an individual’s personal influence patterns, and guides them on how to become leaders capable of influencing in any situation, regardless of the conditions. Using the influence research as a foundation, she created training programs that are taught worldwide in corporate universities including The Influence Lab® and Present to Win®. In 2006, The National Association of Women Business Owners named Connie one of the Top 10 Female Business Owners of Northeast Ohio. In 2007, the Leadership Ohio Think Tank honored her with its Small Business Award of Excellence. In 2017, Global Gurus named Connie a Top 10 Global Guru of Executive Coaching. 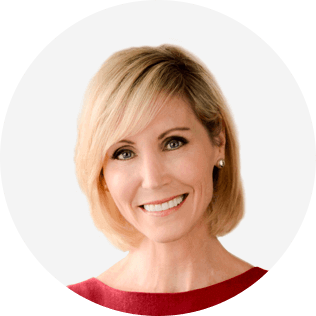 Connie has been interviewed about her work for numerous media outlets, including CEO.com, CNBC, Crain’s Business, Investor’s Business Daily, the Chicago Tribune, the Los Angeles Times, The Wall Street Journal, and USA Today. Connie is a top-selling author. Both her books, Talk Less, Say More and Become the Real Deal, hit #1 on the Amazon bestseller list. The audio version of Talk Less, Say More, narrated by Connie, reached #1 on Audible’s bestseller list. Connie is also a renowned keynote speaker and in 2017 the National Speakers Association inducte her into the Speaker’s Hall of Fame. She’s delivered speeches on four continents to audiences in the thousands. She talks about how to develop leadership presence and lasting influence. Her speaking clients include Berkshire Hathaway, Citibank, Dow Corning, Dr. Pepper, eBay, Ingram, Johnson & Johnson, McDonald’s, Old Dominion, The Home Depot, and Unicentro. Along with her keynote speeches for corporations, Connie is a guest lecturer for executive education and MBA programs in business schools such as Case Western University, Clemson University, Indiana University, and The Ohio State University. Connie’s session on influence is unlike any other. Influence is not about how to get what you want by manipulating others. It’s not about shallow, sneaky, short-term persuasion tactics that can blow up in your face and ruin relationships. Instead, Connie will reveal a higher state that anyone can use to make their greatest contributions to the world: The state of Influence 360. When you reach this level of influence, you have the ability to change minds, behavior, and outcomes for lasting results. You earn commitment, not mere compliance. People trust your judgment, respect your opinion, and seek you out for help on important decisions. True influencers don’t play the game, they change the game. Even when conditions are challenging, communication is collapsing, and people are difficult. Connie’s Influence 360 session is deeply substantive, highly interactive, and entertaining. 2. A simple, consistent methodology to use in both our business and personal lives.